To avoid costly repairs and complete system failure, we recommend that the system is serviced and recharged at least every 2 years. Contact us at your convenience for a temperature vent test, pressure test and visual inspection. Over a period of time the system can lose gas or become contaminated. In addition, filters gradually become saturated which can cause the system to become inefficient or fail completely. 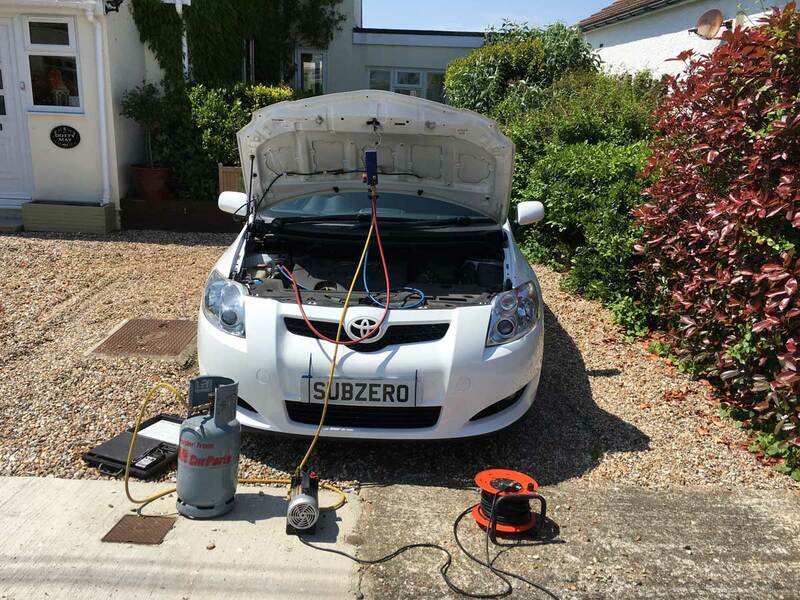 For this reason air conditioning units should be regularly serviced in a similar manner to other vehicle parts. Some modern cars (often Mercedes) create Fault Codes (DTCs) when the refrigerant charge is allowed to get far too low. This has the effect of preventing the operation of the AC system even where it has been completely recharged. For the use of our Electronic Diagnostics Equipment to correct these DTCs there will be a small addition to the recharge cost if done at the same time.